Friday, Feb. 22, 2019, 1:45 – 3:30 p.m. The Writing Skills Assessment (WSA) is a 90-minute required entrance assessment consisting of two handwritten essays – a persuasion task and a position task. For your Milgard Bachelor of Arts in Business Administration application to be considered, you must take the WSA. 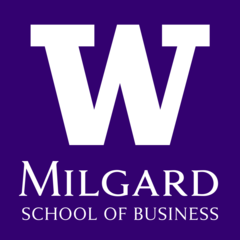 No special business knowledge is required or expected for either writing task and the WSA is applicable at all three University of Washington campuses. Registration closes three days before the exam and has a $35 fee. For more information on the WSA or to register, follow the link below. For Autumn 2019 BABA admissions, students must have the test completed or scheduled before May 15.